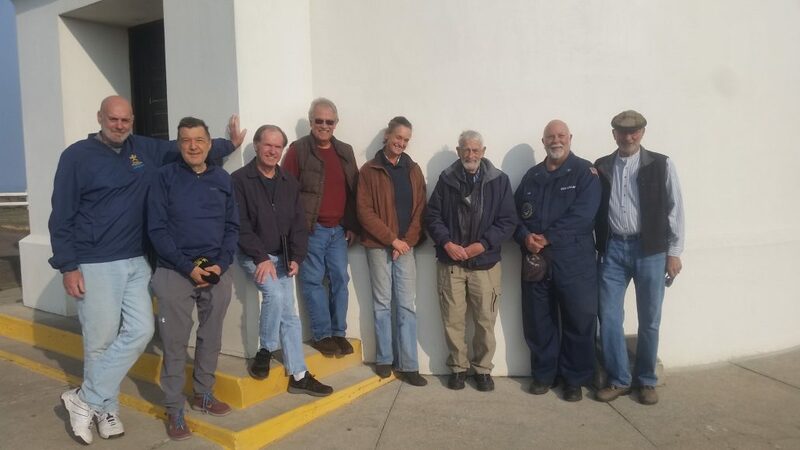 2019 Annual Members Meeting - Point Arena Lighthouse Keepers, Inc. This year we will again use an online voting system for electing the four (4) open Board seats. If you are a PALKI member you will receive an email that will allow you to vote electronically up to the day of the annual Members Meeting. If we do not have your email, you will receive a paper ballot to return to us with your selection. If you prefer to vote in person at the Members Meeting, please print the email you receive and bring it with you to the meeting, or bring your paper ballot if you received your ballot by mail. You will be able to cast your vote on our PALKI computer using your unique voter key. There are currently four (4) incumbent Board members that are running for re-election to 2 year terms. Their re-election statements are shown below. For the past 2 years, I have served as the PALKI Board Vice President. As such, with all the Board of Directors members and PALKI managers, we have continued to improve PALKI’s financial situation and are working to renovate some of our facilities – house number 1 and the Keeper’s Apartment. I have continued to lead many Full Moon tours. 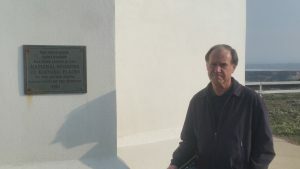 I keep an eye out for maintenance needs and possible improvements to the Light Station buildings, displays and grounds in order to ensure that visiting them continues to be an enlightening and rewarding experience and that they are preserved for future generations. Unfortunately, for the past 6-7 months due to heath issues I have not been as active as I hoped, but that is improving. 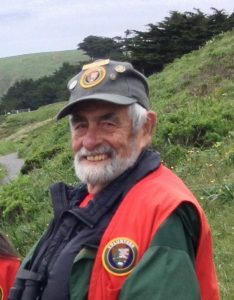 My current other activities include being an RCMS Board member and an elephant seal and whale winter docent at the Point Reyes National Seashore. During the past few years I have seen many positive changes happening at the Lighthouse. The Stornetta Lands has had a significant and very beneficial impact in our area and on the visibility of the Lighthouse as a destination. The tours and lectures have continued to gather appreciative audiences. Very exciting too are the new entry gates and stone fence and the newly painted Fog Signal Building. I am also looking forward to the complete remodel of the Head Keeper’s House which will result in our offering an ADA compliant 2 bedroom, 1 bathrrom home and two Keeper’s Rooms, one of which will be pet friendly. What I would like to focus on during next few years is developing educational programs in conjunction with our local schools to benefit students as well as residents and visitors. We have the marine environment, native plants and a rich history, all of which could provide the foundation for a sustaining out-reach to the community. I look forward to the opportunity to explore and develop such programs. I have been on the Board for 6 years. In that time, we have lost some old hands and gained some new energy with new members. I think that our Board is a very well-functioning board, given my discussions with friends on other boards, locally, in the Bay Area and on the East Coast. My area of expertise runs to the financial management side of operations. In that area, I think we have a greatly improved financial situation. I have promoted pay raises for the staff because we are only as viable as the folks who run the day to day operation. It was my recommendation that we not maintain as heavy a cash position as we had done and that we spend a lot on rehabbing our physical plant. Now we have the completely remodeled House 4, stunning entry gates and unique stone fence and freshly painted Fog Signal Building. Our income stream is strong, our balance sheet shows financial strength and the prospects for the future are all positive. My wife Jan and I moved to the Mendocino coast five years ago after I retired from a long career in the US Intelligence Community. I was honored to have been selected to fill a vacant position on the lighthouse board in February 2018. Since then, I’ve been impressed by the commitment of the Board members to the mission of PALKI and by the dedication and talent of the lighthouse staff. 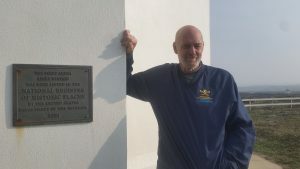 I’m currently working with the committee preparing for the renovation of several of our lodging units and I’m leading the team planning for the lighthouse’s 150th anniversary celebrations in 2020. I would like to continue to support the Point Arena Lighthouse by being elected to a full two-year term and helping to develop long-term plans for the preservation and operations of this important historical landmark. Goodbye and Thank You to Judith Leeper for 12 years of service as a Board Member! 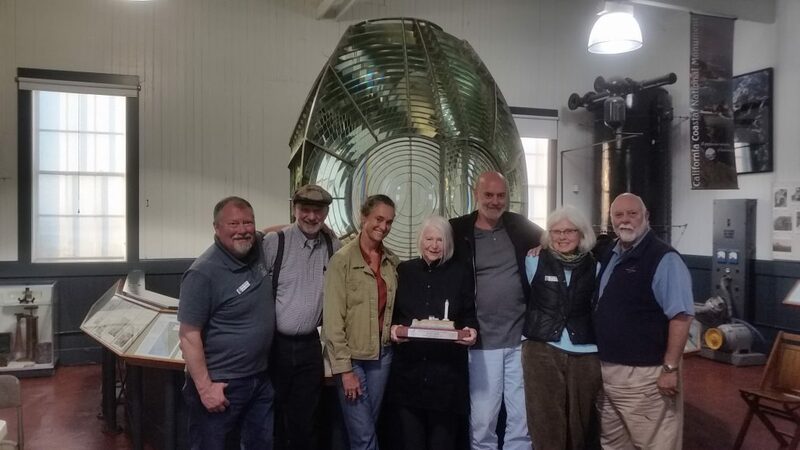 The Board of the Point Arena Lighthouse Keepers, Inc. presented retiring Board Secretary Judith Leeper with a thank you present for her 12 years of service on the Board at the Annual Members Meeting on February 3, 2018. A limited edition statue of the Fog Signal Building, Lighthouse Tower and the peninsula they rest on was mounted on a base made from old growth “sinker” redwood and included a plaque honoring her service. 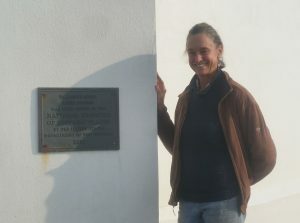 Judith was a key member of the Design Committee that did the design and furnishing of the remodeled Assistant Keeper’s House 4 and remains a member of the Committee as it prepares to remodel the Head Keeper’s House.